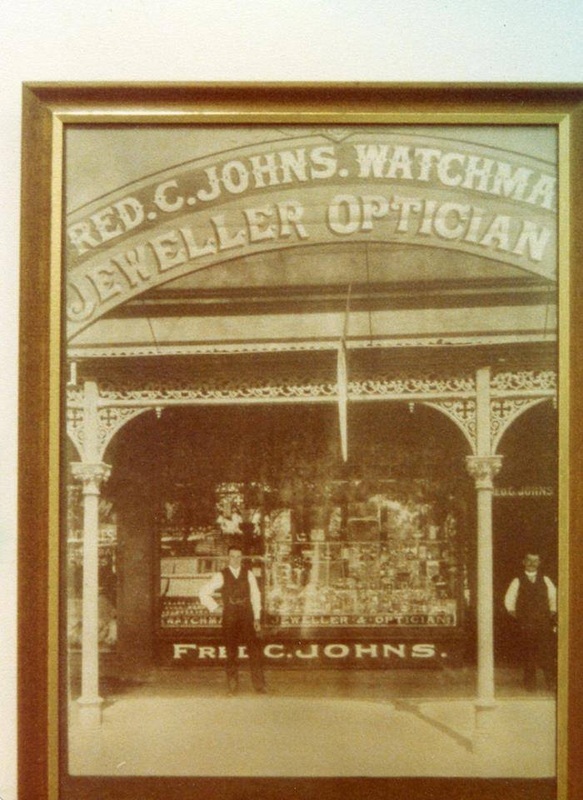 In 1903 Fred C Johns, a watchmaker and jeweller in Bendigo since 1894, moved his family and business to Shepparton and opened a store in Wyndham St, two doors south of its present location. 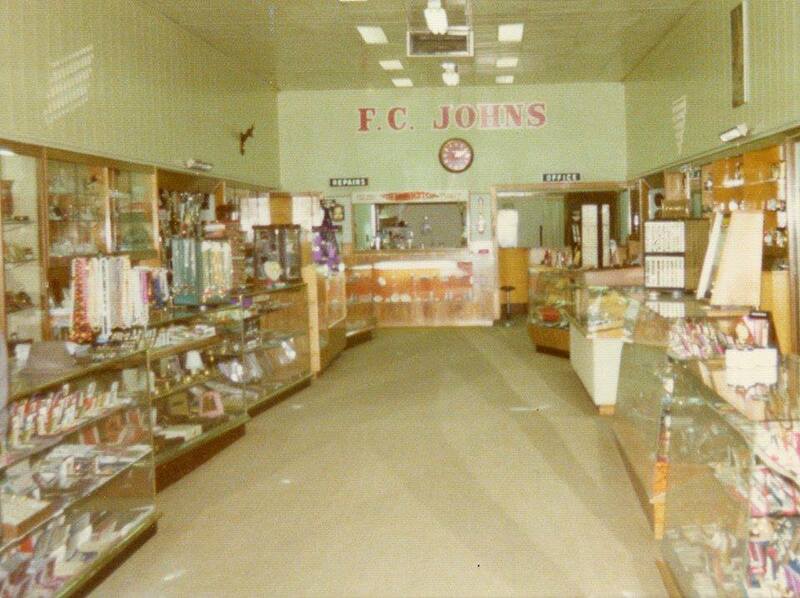 From humble beginnings, FC Johns have grown to include Kyabram (since closed), Bendigo and Ballarat. 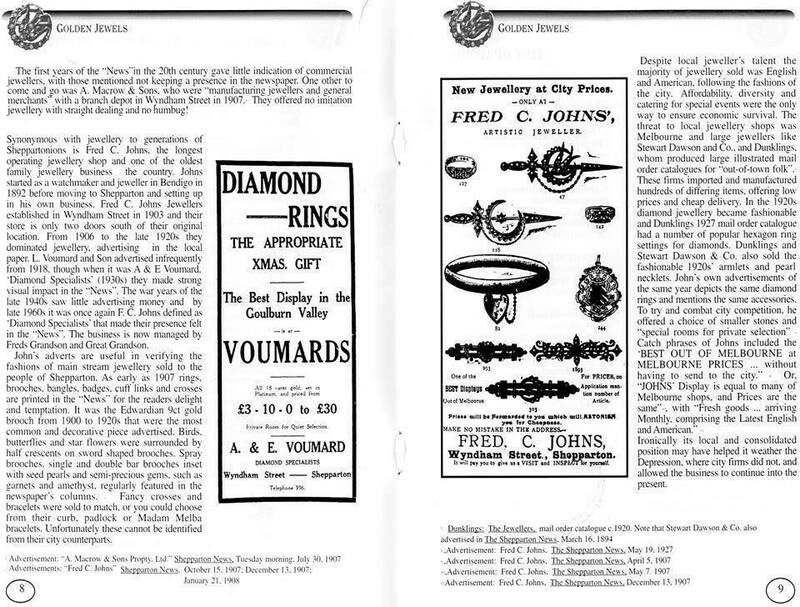 It is now recognised as one of the oldest family jeweller businesses in the country. 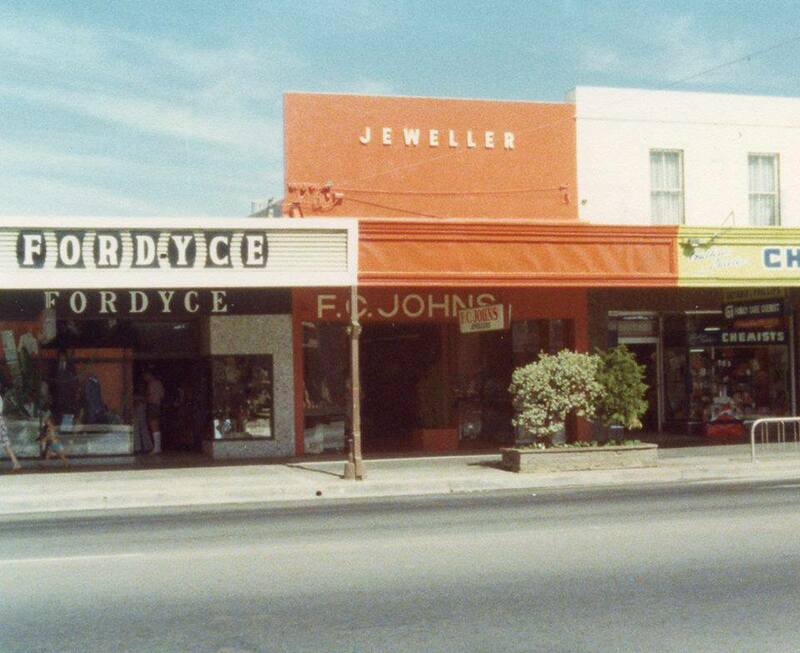 In 1922 his son, William Johns, took control of the business and during 1926 the Kyabram branch was opened. 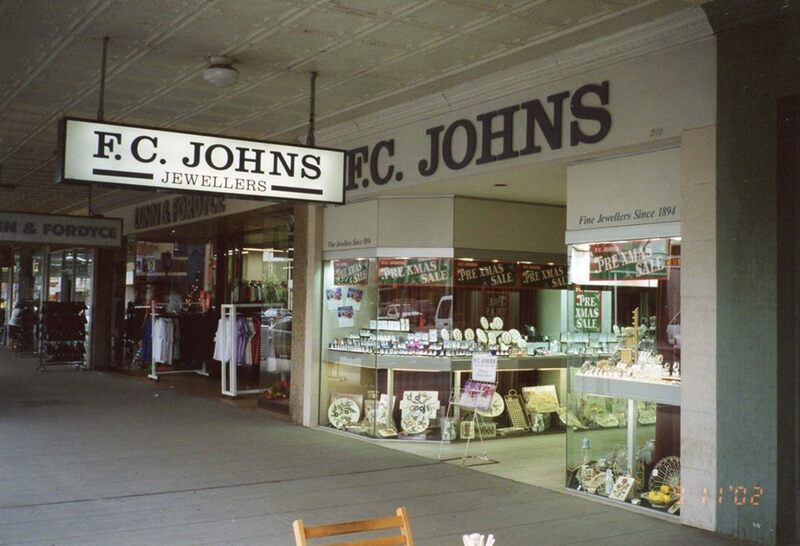 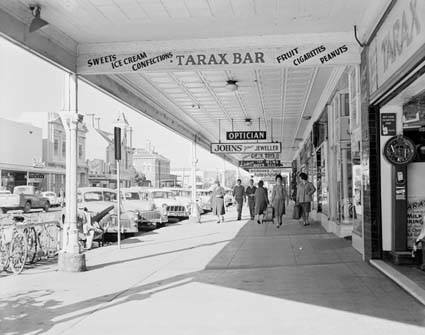 After 52 years of management, in 1974, William Johns passed the control onto his son, Peter Johns, who opened the Bendigo shop one year later and in 1981 opened the Ballarat store. 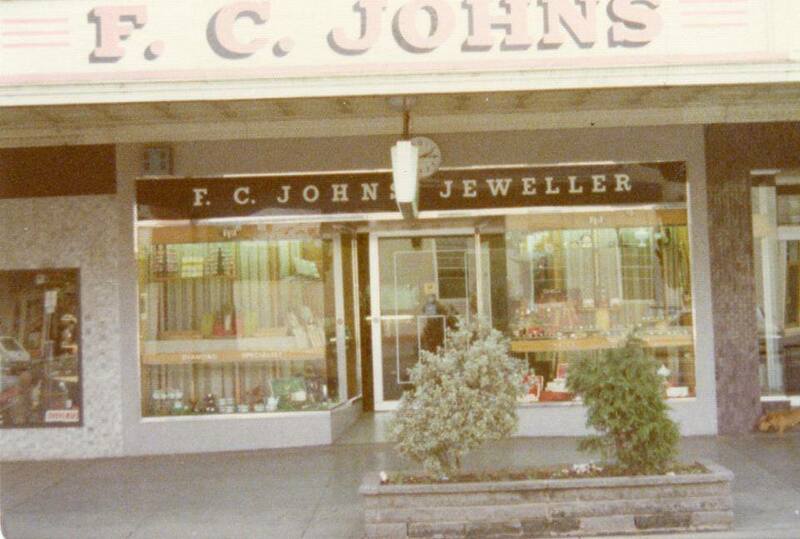 Today all stores are owned and operated still by Peter Johns with the help of his son Doug. 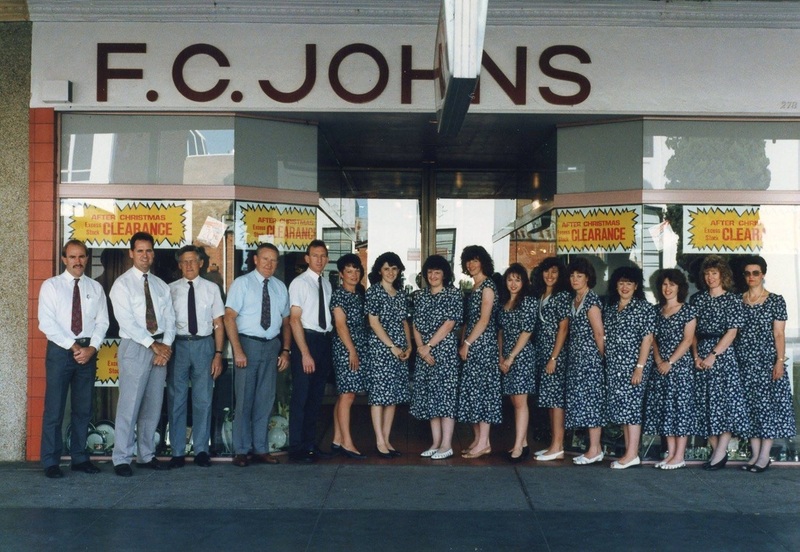 Of the 36 staff employed by the business today, many have been with FC Johns for more than 20 years. 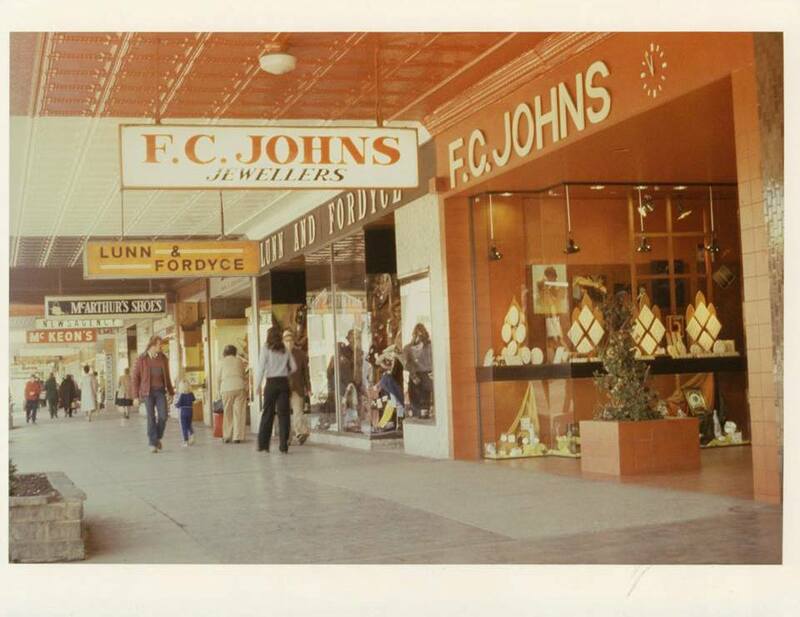 Update: FC Johns closed in Shepparton in 2006. 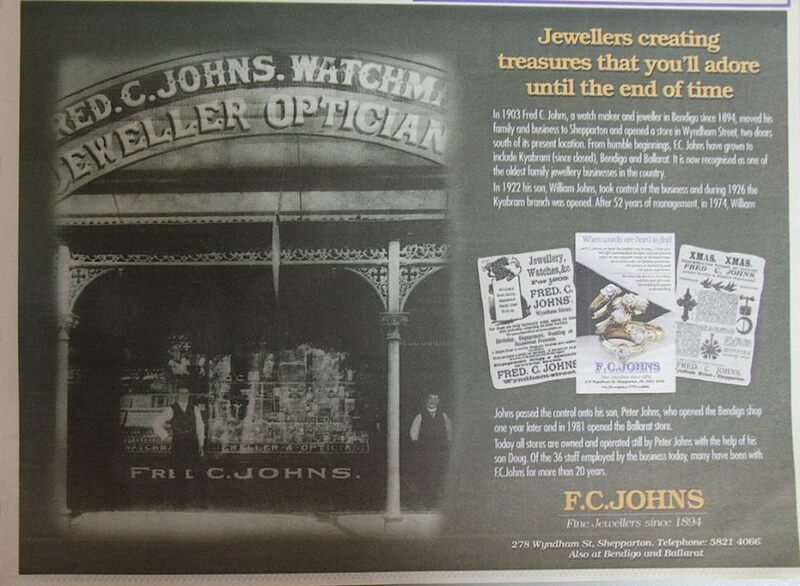 Advert found in Our Century publication by the Shepp News in 1999. 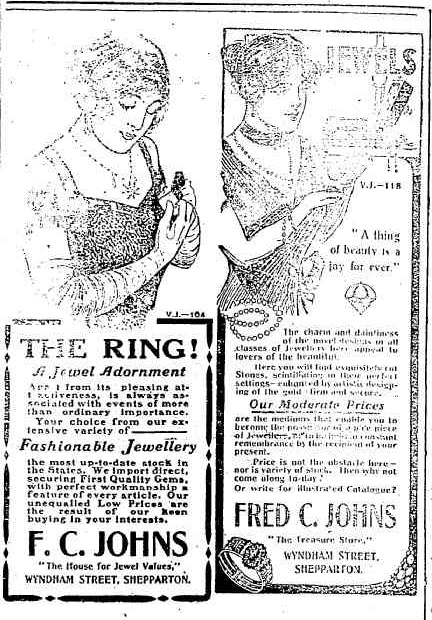 These are some adverts from the Shepparton Advertiser December 1914 for a Christmas shopping promotion.